There could be dire consequences. The escalation is also taking hold in the mainstream press. Earlier this week, Business Insider published a piece with the headline “US May Have to Consider Firing on Iranian Boats After Latest Houthi Attack,” further raising tensions across the region. Seriously, the United States might “have to” attack Iran? The article was about an attack by Houthi rebels in Yemen against a Saudi warship that is part of the continuing US-backed Saudi assault against Yemen. There have been baseless claims that the Houthi attack was actually aimed at a US ship—and the administration and now some in the mainstream press are continuing a popular but false claim that the Houthis are merely a proxy of Iran. 1) The Houthis are a longstanding part of Yemeni society with their own grievances; Iran has provided some funds, but they are not controlled by Tehran. The Houthis are fighting against the Saudi-backed former government in Yemen, in an internal war that predates the direct Saudi assault on Yemen that began in early 2015. 2) The Saudi war against Yemen is brutal, killing thousands of civilians through bombing and hunger, shutting off access to ports needed for food and medicine, and leaving the already-impoverished country to face near-famine conditions, with 50 percent of its population food insecure and dependent on UN food aid for survival. 3) The United States is already part of the war in Yemen—selling billions of dollars’ worth of warplanes, weapons, and other war materiel to Saudi Arabia, and participating in the war directly by providing in-air refueling by US Air Force planes flown by US Air Force pilots. 4) Congress has never authorized any US involvement in the Saudi war against Yemen. The biggest danger—at least right now—is less a direct US military assault on Iran than a massive escalation of the US war against Yemen, in the name of going after Iran. It will no longer be US support for the Saudi war, but instead risks becoming Washington’s own Yemen War against Iran. The humanitarian consequences for Yemenis would be horrifying. This weekend’s US special forces raid in Yemen killed 14 suspected Al Qaeda militants, according to the Pentagon, and reportedly as many as 16 civilians, including children—one of whom was an 8-year-old US citizen. So the press headlines that the raid killed “one American,” referring to the Navy SEAL who died in the assault, are false. 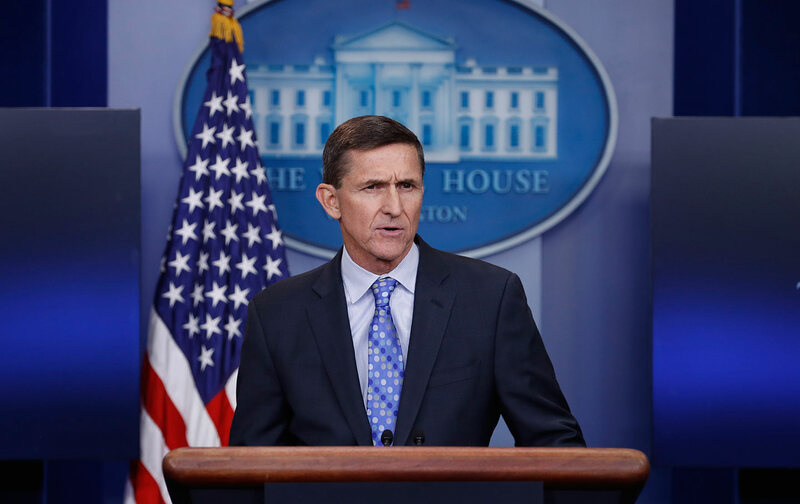 This raid, against al Qaeda in the Arabian Peninsula, the Yemeni branch of Al Qaeda, is being treated by the United States as separate from US engagement in the Saudi war against Yemen. But it sets the stage for much greater direct military involvement. Representative Ted Lieu from California has asked for a Pentagon briefing on the Yemen raid, but no one in Congress so far has demanded that the War Powers Act provisions be brought to bear on the ongoing unauthorized US military involvement in the Yemen war. And things could escalate even further. There is a particular danger of even more reckless actions by a president unlikely to walk back his tweeted threats against Iran, even if advisers warn him of the dire potential consequences. And with the National Security Council now seemingly run largely by White House strategic adviser Steve Bannon, a leading white supremacist and Islamophobic ideologue, it’s not clear which advisers might do so. Further, can we really assume that Trump Inc.’s investments in Saudi Arabia, and newly confirmed Secretary of State and former Exxon-Mobil CEO Rex Tillerson’s oil connections, are playing no role in the decisions that could send the United States to war in Yemen on the side of Saudi Arabia against Iran? Trump has complained that Iran is “taking too much” in Iraq—and he has also said that the perhaps there will be another chance to “take the oil” from the country. Maybe instead he’s thinking about “taking the oil” in Iran?